Adding a bulk cement silo can have a positive impact impact on a business. A bulk silo will allow for on-site storage of large amounts of cement. This cement will be easily accessible. The main factor in selecting a silo is to make sure that it has a minimum capacity to hold one full tanker. A tanker ranges from 25-27 tons each load. A cubic foot of cement is 94 pounds, which is referred to as a bag. There are four bags to a barrel. In many cases, a silo will pay for itself in one to two years. The savings comes from purchasing cement in bulk instead of bags, this will speed up the break even point of purchasing the cement silo. Additional space needed to store pallets of bagged cement in a storage building and to transport them to the mixer. In addition to the above savings, worker safety must also be acknowledged. Workers are elevated from the ground on the mixer to burst the cement bags which put workers in close proximity to airborne cement dust. Airborne particles are harmful to people that inhale them. 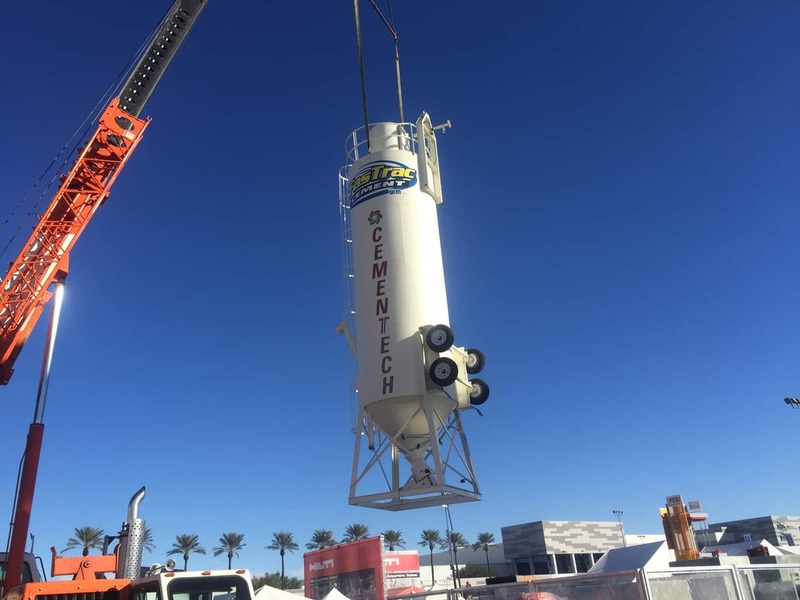 A silo offers a cleaner, safer work environment because a silo is completely enclosed as the transfer auger moves the cement to its point of discharge, so workers will not have to be exposed to airborne particles. Silos come in two traditional shapes. A round, upright version, and a rectangular, low profile configuration. The round upright silos range from 25 feet to 35 feet in height, and have a 40 ton to 60 ton capacity. They have two distinct advantages from the rectangular silo which are their increased holding capacity, and the baghouse* being located on the top. The low profile silo is primarily used when height is restrictive or regular mobility is desired. The rectangular, low profile silo has a holding capacity of 30 to 32 tons. *A baghouse is a cement filtering component which allows cement to be retained in the silo while air is allowed to exit during the silo filling process by the pneumatic filling process. Both silos should have an annual inspection of the bags or filtering cartridges in the baghouse. Spring is an excellent time to perform this yearly maintenance because it follows the winter months when one normally has higher levels of moisture in the air and reduced usage. Also inspect the pressure relief pop off valve to ensure it is operational and in sufficient condition. Are you considering buying a silo? 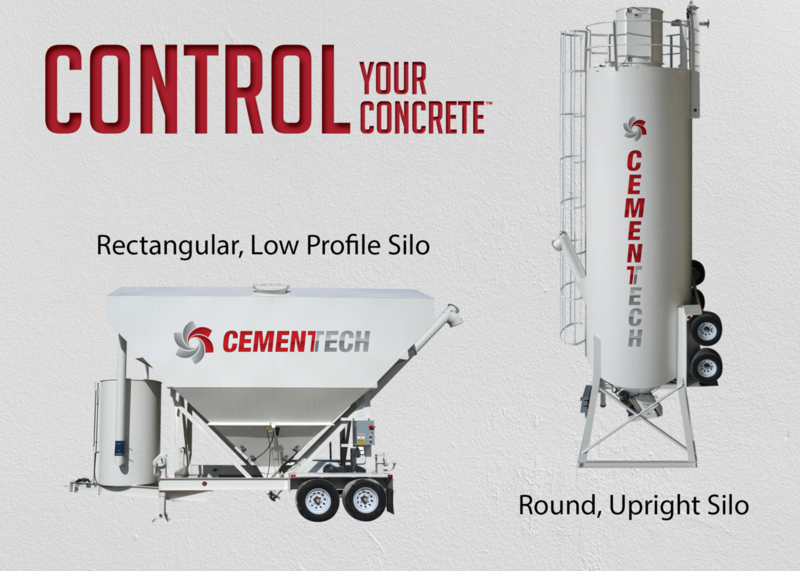 Click here to check out our different models of silos. Contact us if you have any questions during your buying process.